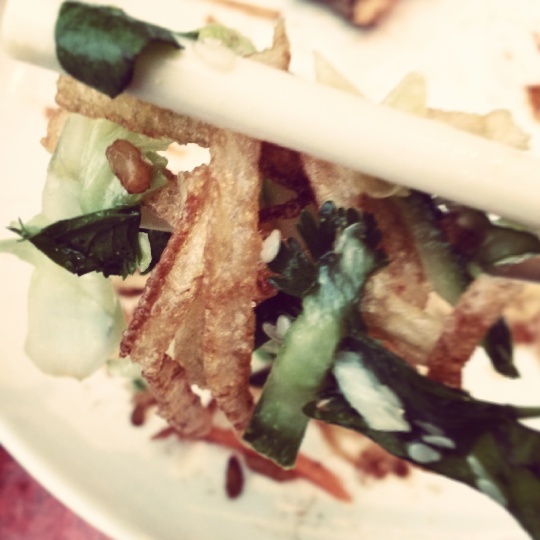 With the tagline “Edinburgh’s favourite Chinese restaurant” I was definitely excited to be asked to review Chop Chop. First, a bit about the history of the restaurant. 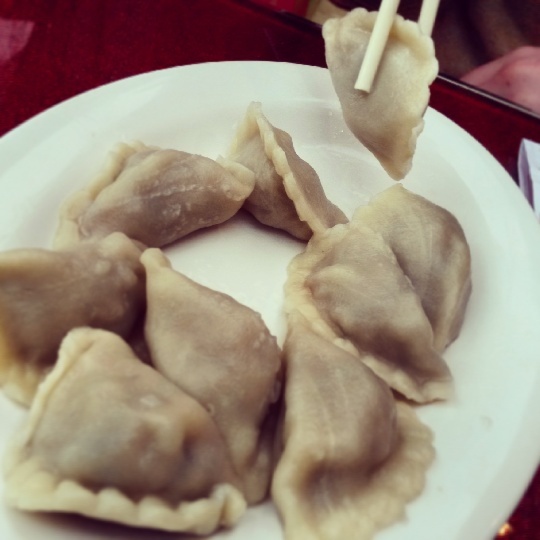 Famous for jiao zi – to you and me that’s dumplings – Chop Chop was first and foremost a factory, set up around 14 years ago, to supply dumplings to Chinese supermarkets across the UK. As the name grew, so did the company’s success, with the first restaurant opening in Haymarket, Edinburgh, in 2006. I’m sure you’ll have heard Chop Chop then shot to fame on Gordon Ramsay’s The F Word and has since opened a second restaurant in Leith. That’s where we headed for our review. 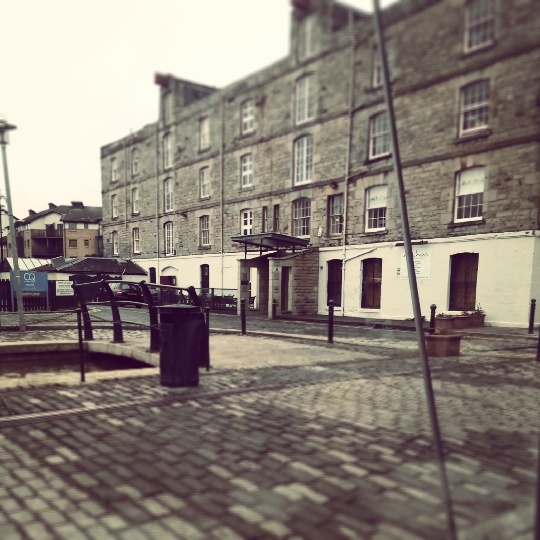 On a sunny day, Chop Chop’s location by the canal in Leith is great, and with being right next door to Tom Kitchin’s place, it is a buzzy part of Leith to eat out in on a Friday night. We arrived a little early so popped into Bond No. 9 for a drink before heading along to what I hoped was going to be dumpling heaven. 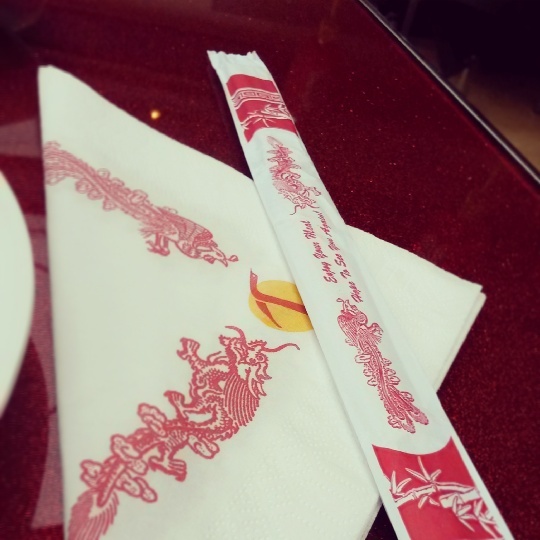 The restaurant itself is modest, with small, red formica tables, paper napkins and hanging Chinese lanterns, it was exactly what I expected a good chinese restaurant to look like. What I mean is that often the best Chinese restaurants are the most unassuming! At 7.30pm, tables were already filling up and we bagged a seat by the window. 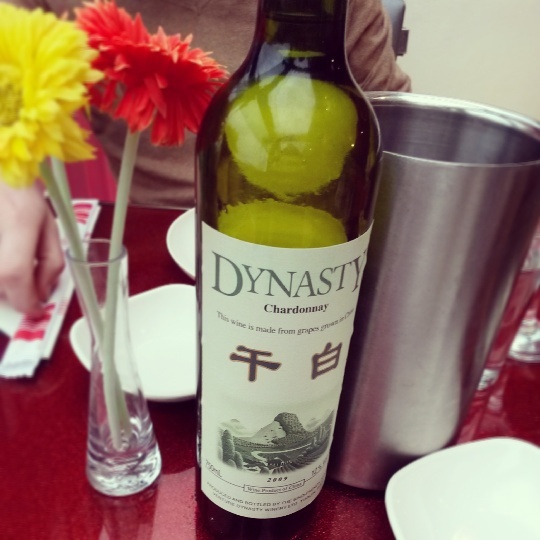 For fun we ordered a Chinese wine (when in Rome and all that!) I was not expecting it to be great… and I have to admit I wouldn’t order it again, but hey ho, we were just getting properly into the theme of the evening! 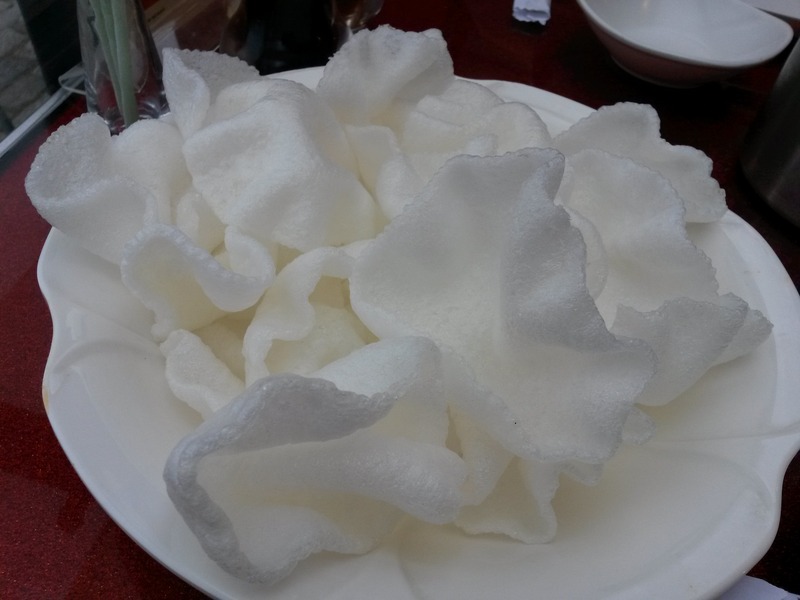 First up, deliciously light and tasty prawn crackers, we tore through this bowl in no time! 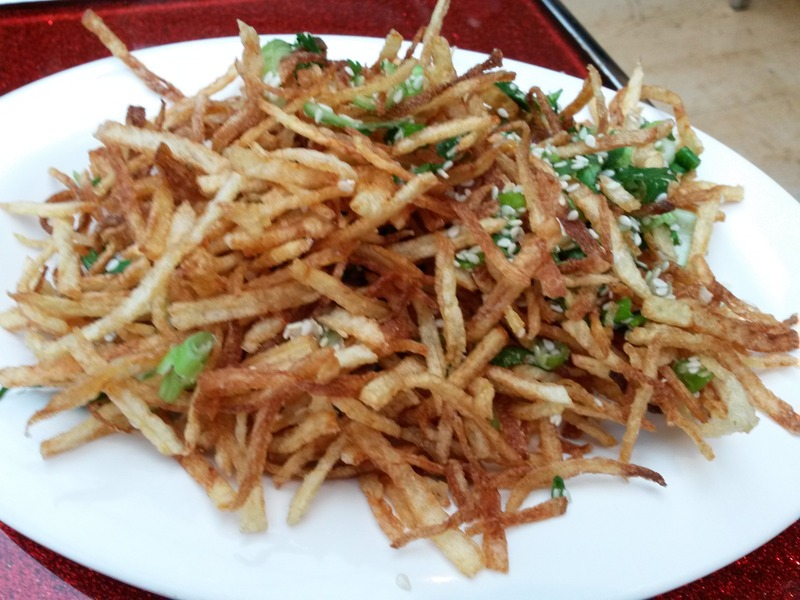 The crispy shredded potato arrived along with the cucumber salad. 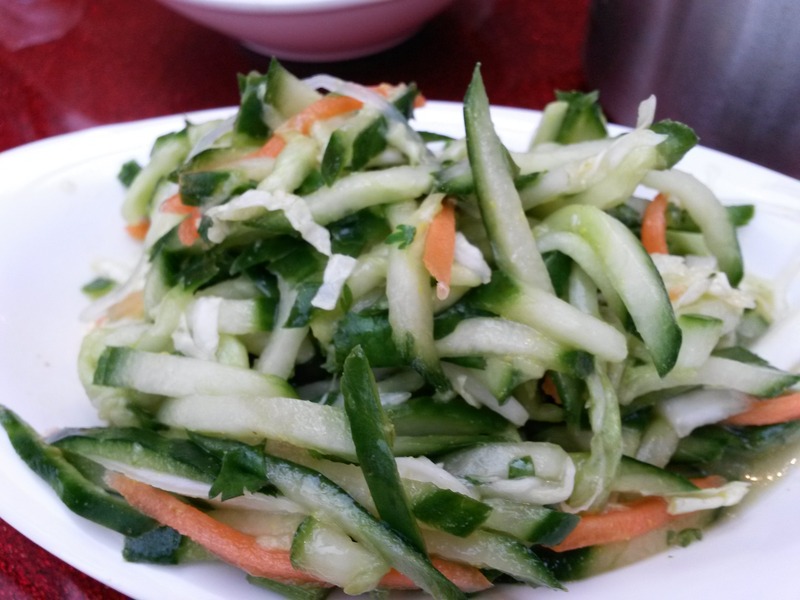 I loved these two side dishes – lots of salt and flavour from the coriander on the crispy potatoes and the cucumber salad was really zingy and refreshing. I fancy attempting to recreate this at home! And then we mixed them… even more delicious! Next up, the dumplings. Sadly these didn’t photograph too well, so you’ll just need to take my word with for when I tell you they were top notch. The steamed dumplings were stuffed full of seasoned pork and with the proper, almost sticky, soy sauce on the table they vanished from the plate quite quickly! 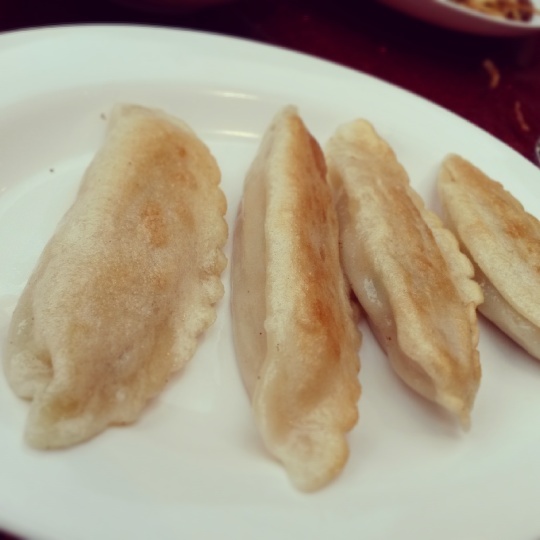 The fried dumplings with also good, nice and big with decent amount of prawn mix inside. I mentioned we were given the aubergines with garlic by mistake, and I couldn’t have been more delighted. Mr F&P doesn’t care for aubergines so I had the whole dish to myself, and they were amazing. 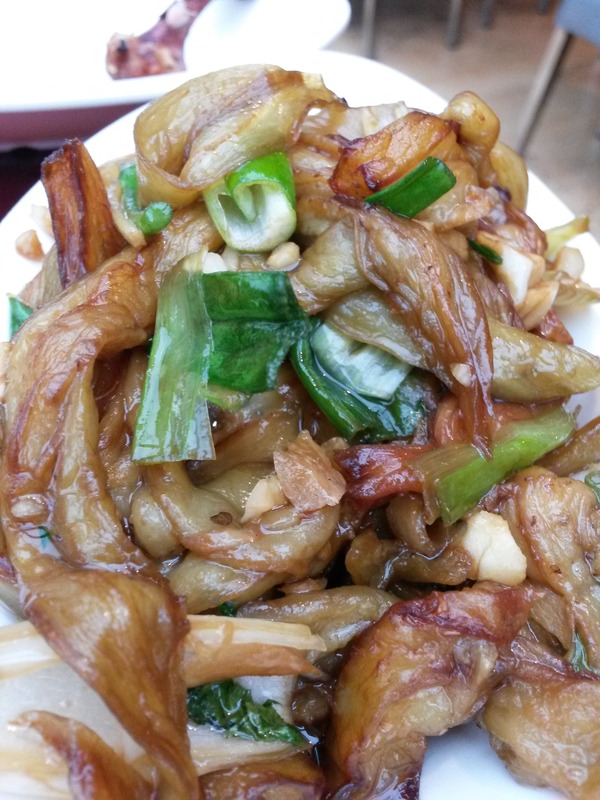 They had a sweetness more like fried onions and were a yummy accompaniment to the dumplings. 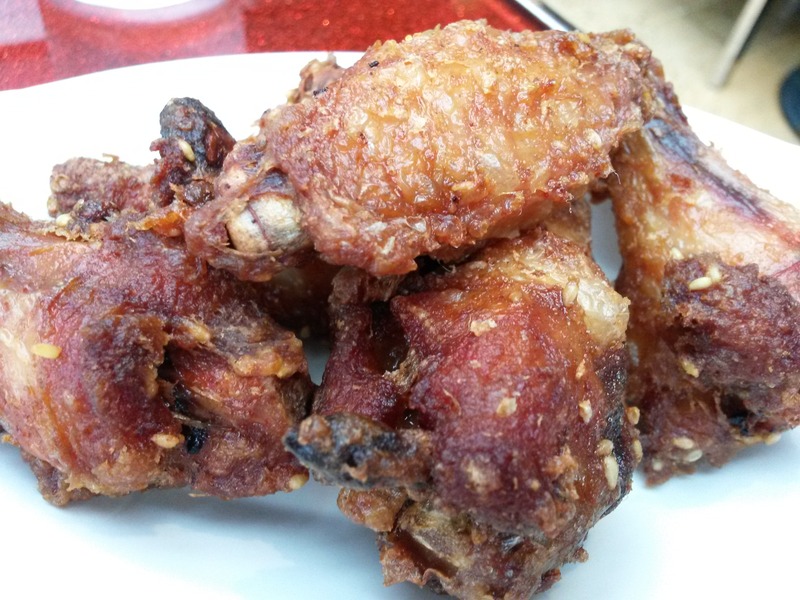 Up next, the seasoned chicken wings – a lovely colour with lots of seasons. 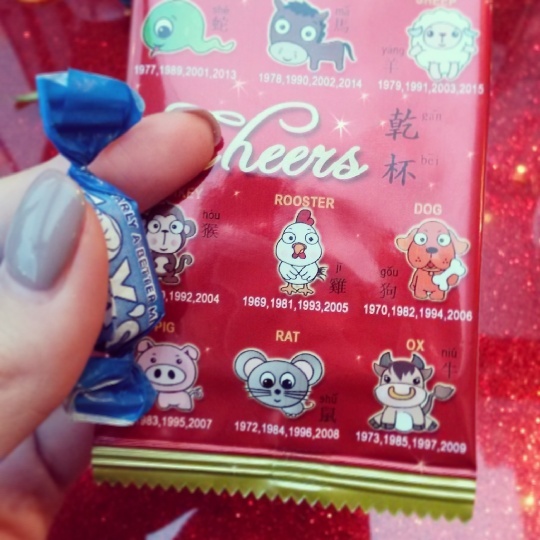 At one point I got a couple strong bites of aniseed, which was a bit too much like sambuca for me! 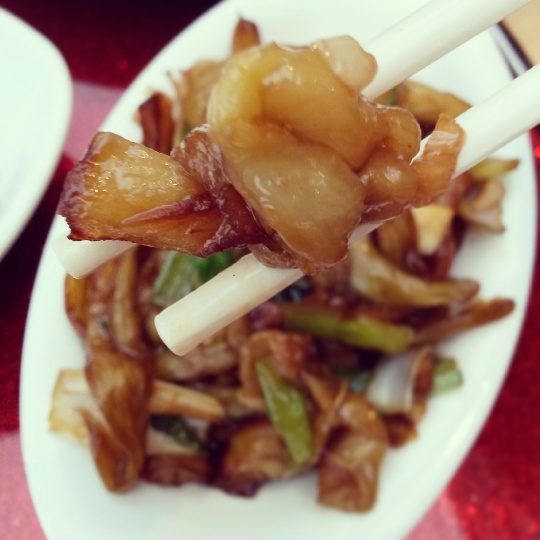 Then the crispy squid arrived followed shortly by the sweet and sour beef dish. 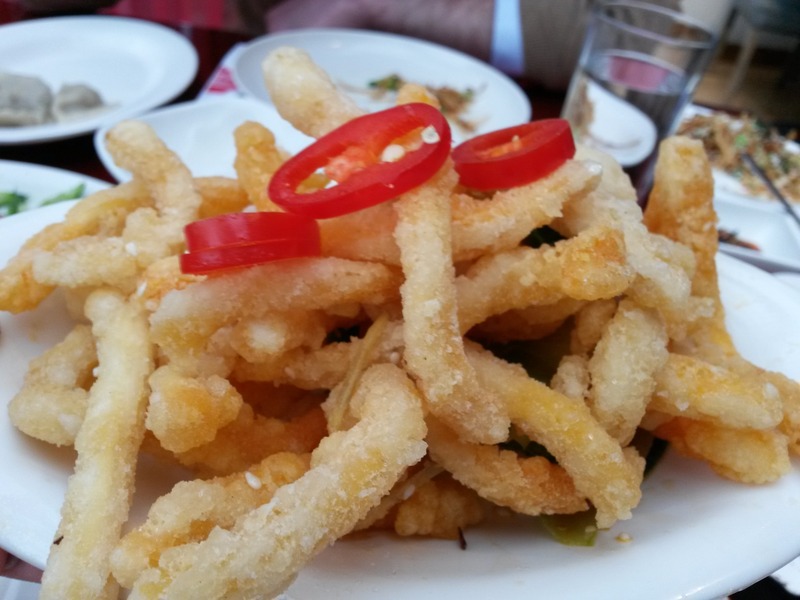 The squid was so crunchy it was almost like chip sticks and the batter had a kick from the chillies. 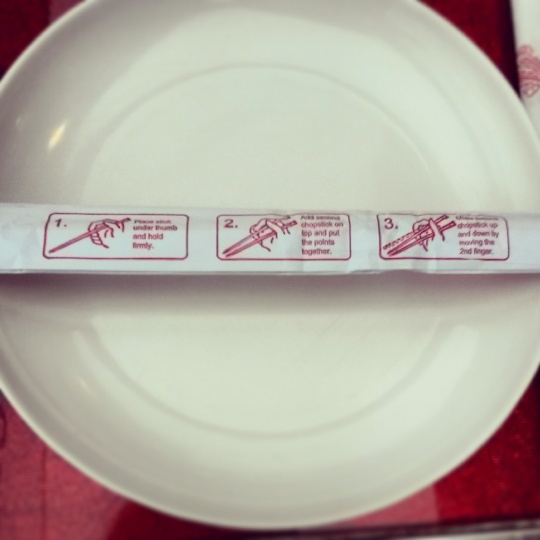 At first I wasn’t sure but as my chop sticks kept reaching back over to the dish I decided I quite liked them. 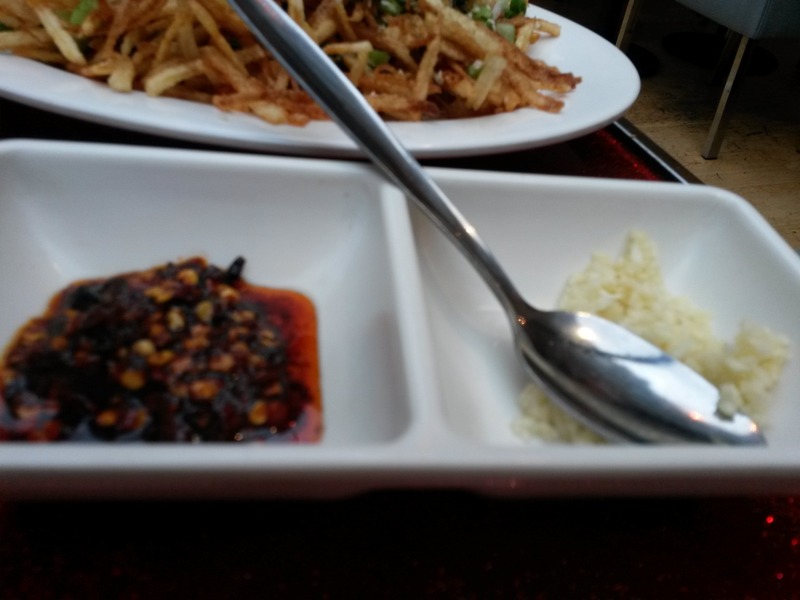 The one and only dish I didn’t photograph was the sweet and sour beef – sorry folks! I’m not a sweet and sour fan, but Mr F&P tells me the dish was tasty, with nice lean bits of steak in a sufficiently sticky sauce. We simply didn’t have any room to order seconds, let alone finish some of what was on the plates in front of us so we popped our mints, wiped our little paws and asked for the bill. I must tell you at this point I was invited to review Chop Chop so the bill only included our drinks. Whilst I loved the chance to try lots of different dishes from the Banquet menu, it was an over whelming amount of food, but I noticed most tables around us were also tucking into the Unlimited Banquet with gusto, so it’s obviously a firm favourite. 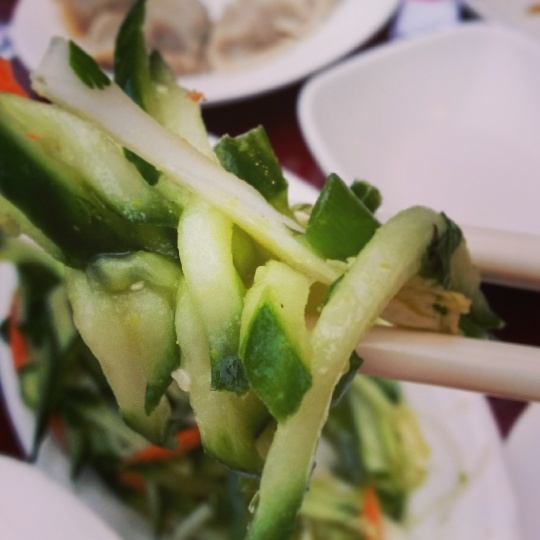 Next time I’ll order from the a la carte section and stick mainly to the dumplings and the side dishes. It would be wise to go with a larger group as well, as I’ve no doubt all of the dishes above could have been shared with a third person and that would give you the chance to sample some more options from the main menu. That said, whoever I go with had better not like aubergines because that’s one dish I don’t think I want to share. Next Arbuckle’s Farm Shop – on to a berry good thing!